I wanted to start by thanking the 40+ of you that joined us on the afternoon of January 19th for our Community Council Kickoff. The presentations and discussions were excellent, and provided us with direction for future programming throughout the year. 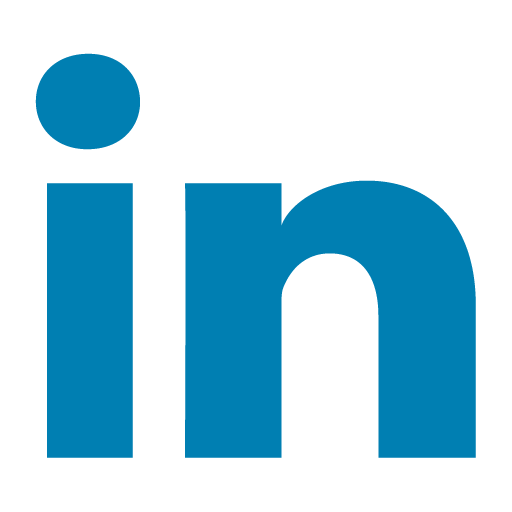 We’ve created a folder where you may view the presentations as well as the notes from the breakout session. 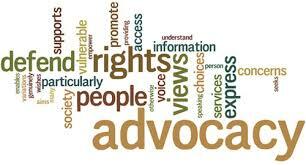 This month we are ramping up our advocacy efforts. Stay informed of actions to take and upcoming events in support of our Fairfax to Zero Campaign by visiting our campaign site. 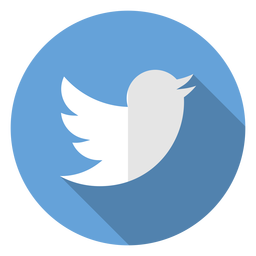 Bookmark this site as we will be updating it frequently! This month we are also launching our partnership with Energy Masters and Rebuilding Together to bring you a home weatherization volunteer program. You’ll find details on registering for the informational session on February 20th below. 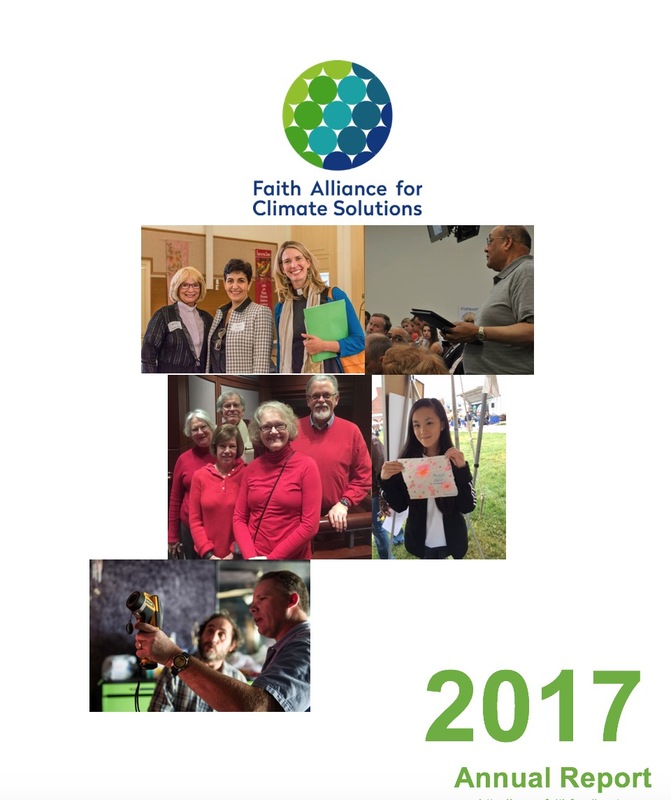 FACS’ 2017 Annual Report is now available for download. Click here! The Board of Supervisors’ Environmental Committee is scheduled to meet at 9:30 a.m. on Feb. 13, 2018 at the Fairfax County Government Center (Conference Room 11) in which it will review a new County Operations Energy Plan. Join us to listen in on how the county plans to reduce its carbon footprint within county operations. This VA General Assembly 2018 Session is an excellent opportunity for the faith community to reach out to state legislators to support the many bills that intend to remove barriers to customer-owned solar, including local government-owned solar. These bills will eventually move VA towards a 100% renewable energy economy. Demonstrate your support by joining us in our letter campaign. Lent, which begins February 14th, is a time when Christian communities repent, reflect, sacrifice, and listen for God. 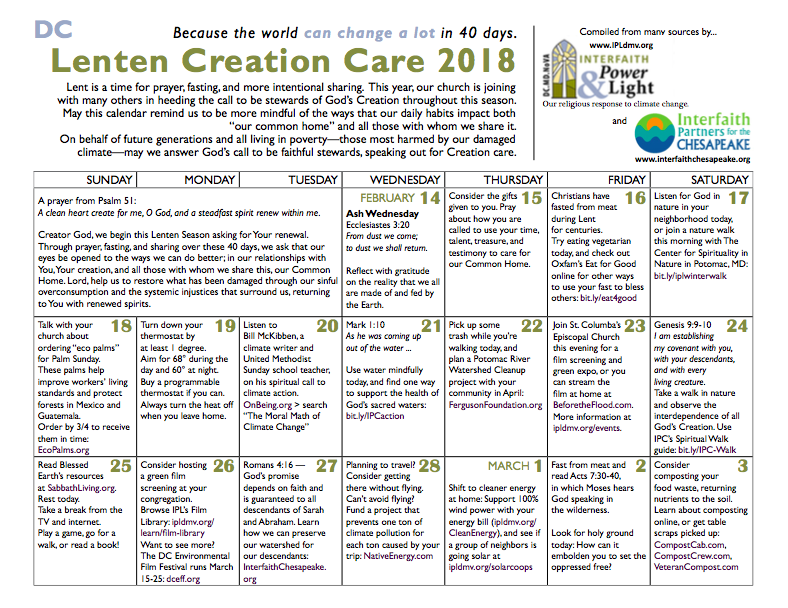 Using the Lenten Creation Care Calendar with you home congregation, as we partake in the daily readings and practices, we will grow closer to God and to Creation, and have deeper conversations about what it means to faifthfully respond to climate change as a church community. The Carbon Footprint game was developed to invite participation of the whole congregation to act in their personal lives and as members of communities on this global issue. It invites children and adults to share ways to be a part of this important work together. It helps to stimulate discussion between youth and adults about what each of us can do to make this world a safer, healthier place. Many are already taking actions to reduce their carbon footprints. The game visibly celebrates what we are doing, and encourages new and renewed efforts, big and small. Join us for this month’s FACS Advocacy Team webinar on Wednesday, February 21, at 1:00 p.m. via Zoom. Our Advocacy Team is organized by district in Fairfax County and meets monthly; you are welcome to join at any time to learn how to participate in our advocacy initiatives. We are looking for a Membership Engagement Manager to join our team. Know someone that may be interested? Please share our job posting and/or send them our way! 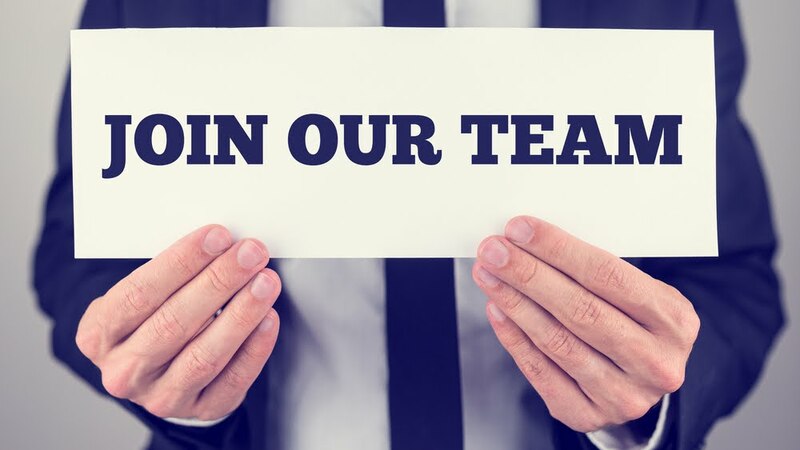 We also seek a part-time Database Administrator. Please contact us for more information. FACS has partnered with Arlingtonians for a Clean Environment’s (ACE) Energy Masters program and Rebuilding Together to develop a volunteer weatherization program for our community. Register for our informational webinar to learn about upcoming training and volunteer opportunities, including joining Rebuilding Together’s National Rebuilding Day (formerly Christmas in April). 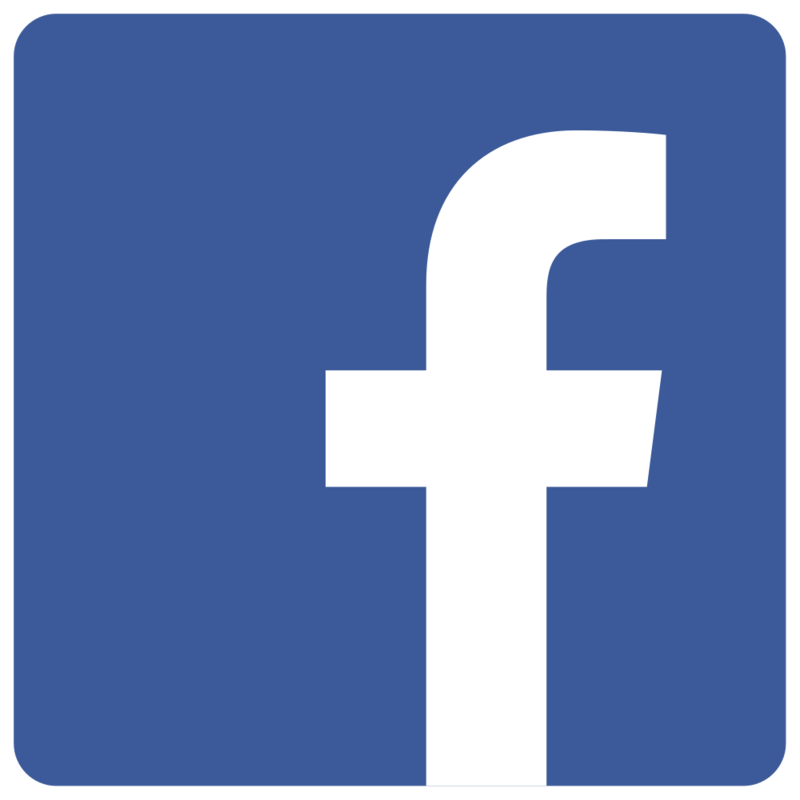 Date/time: Tuesday, February 20th at 12:00 p.m.